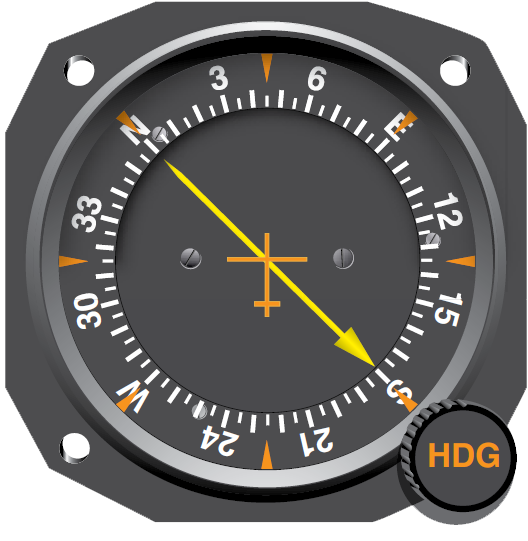 An automatic direction finder (ADF) operates off of a ground signal transmitted from a NDB. Early radio direction finders (RDF) used the same principle. 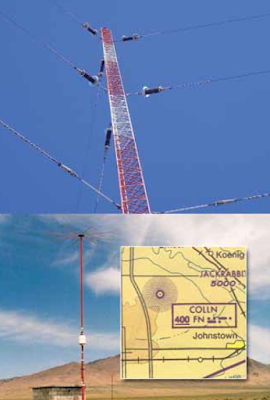 A vertically polarized antenna was used to transmit LF frequency radio waves in the 190 kHz to 535 kHz range. A receiver on the aircraft was tuned to the transmission frequency of the NDB. 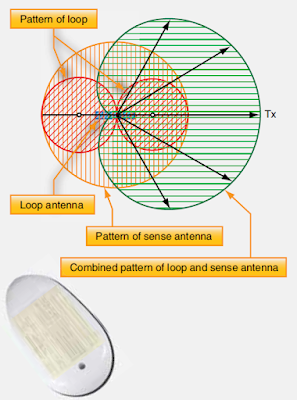 Using a loop antenna, the direction to (or from) the antenna could be determined by monitoring the strength of the signal received. This was possible because a radio wave striking a loop antenna broadside induces a null signal. When striking it in the plane of the loop, a much stronger signal is induced. The NDB signals were modulated with unique Morse code pulses that enabled the pilot to identify the beacon to which he or she was navigating. With RDF systems, a large rigid loop antenna was installed inside the fuselage of the aircraft. The broadside of the antenna was perpendicular to the aircraft’s longitudinal axis. The pilot listened for variations in signal strength of the LF broadcast and maneuvered the aircraft so a gradually increasing null signal was maintained. This took them to the transmitting antenna. When over flown, the null signal gradually faded as the aircraft became farther from the station. The increasing or decreasing strength of the null signal was the only way to determine if the aircraft was flying to or from the NDB. A deviation left or right from the course caused the signal strength to sharply increase due to the loop antenna’s receiving properties. 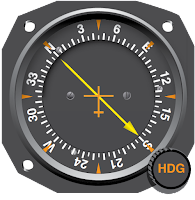 ADF receivers can be mounted in the flight deck with the controls accessible to the user. This is found on many general aviation aircraft. Alternately, the ADF receiver is mounted in a remote avionics bay with only the control head in the flight deck. Dual ADF receivers are common. 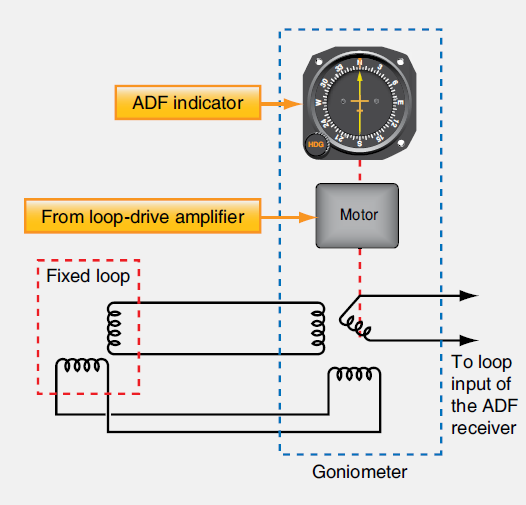 ADF information can be displayed on the ADF indicators mentioned or it can be digital. 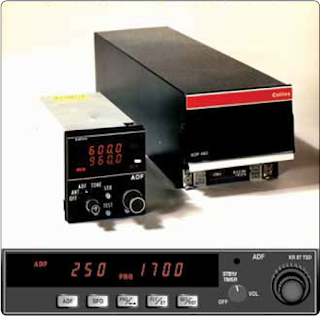 Modern, flat, multipurpose electronic displays usually display the ADF digitally. 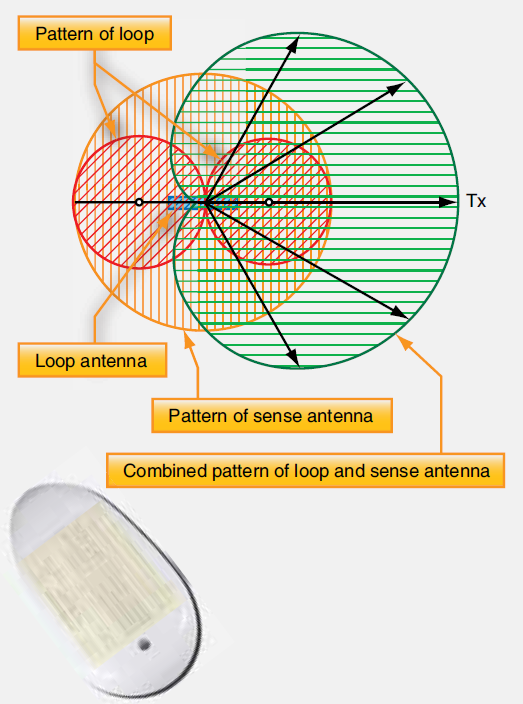 [Figure 5] When ANT is selected on an ADF receiver, the loop antenna is cut out and only the sense antenna is active. This provides better multi-directional reception of broadcasts in the ADF frequency range, such as weather or AWAS broadcasts. 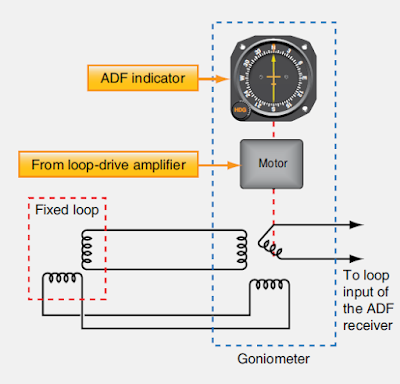 When the best frequency oscillator (BFO) is selected on an ADF receiver/controller, an internal beat frequency oscillator is connected to the IF amplifier inside the ADF receiver. This is used when an NDB does not transmit a modulated signal. 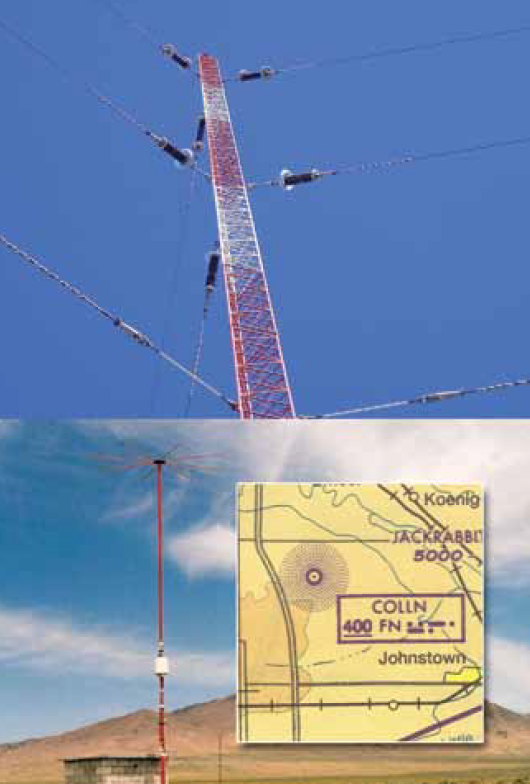 Technicians should note that the installation of the ADF antenna is critical to a correct indication since it is a directional device. Calibration with the longitudinal axis of the fuselage or nose of the aircraft is important. A single null reception area must exist in the correct direction. 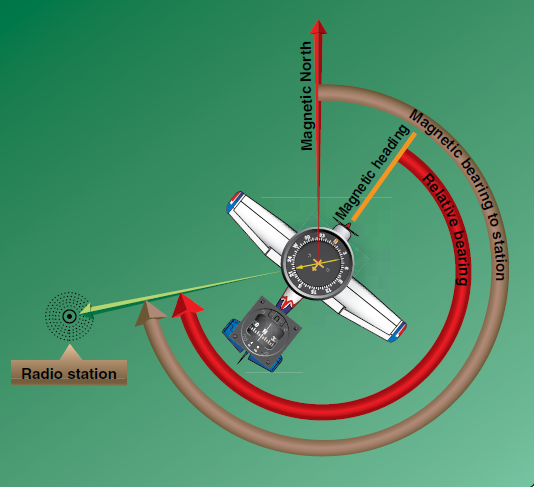 The antenna must be oriented so the ADF indicates station location when the aircraft is flying toward it rather than away. Follow all manufacturer’s instructions.